This afternoon I stopped by the Union Gospel Mission on East Cordova as I was invited to an open house to celebrate the launch of their new website. Built by a local company and using a sleek-looking cms (content management system) the UGM has been pretty excited about the changes. 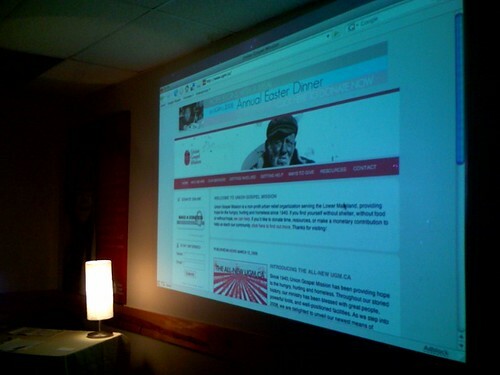 The most ambitious part of the new website was the development and implementation of The Street, a blog by UGM outreach workers. Aside from being on social networking sites like Facebook, the UGM has given their street-level workers a voice. This includes a chance to promote events and simply talk about they see and go through every day. I also got to chat with a man that works in the kitchen and moonlights in the UGM Thrift Store. He said he’s been clean and sober for 15 years and working with the UGM ever since. There were interesting people from all walks of life, staff, bloggers, and even a mention of the Thrift Store’s lead mannequin that I thought would be great to have a photo of on their Flickr account. This UGM provides drop in centres for women, families and youth, as well as programs and outreach for those in Canada’s poorest neighbouhood and around the Lower Mainland. They’ve also helped me with the issue of what to do with the five bags of clothing I was looking to donate, as their Thrift Store would gladly accept it. While talking to Kevan, who works in communications for the UGM, it was great to see his enthusiasm for using new ways to reach donors, staff, and those who use the services. Sure, flyers in the mail get avoided or discarded and may cause annoyance, but the blog (to which you can subscribe) can provide everyone the information they want, when they want it. Good for them. The UGM work in a tough neighborhood and try to bring some sunshine. I responded to their ad one year asking for donations to buy holiday meals. And I ended up on their mailing list, with thick envelopes filled with forms and literature sent out on a seemingly bi-weekly basis. It made me wonder, did my $50 buy turkey and potatos to fill some stomachs, or did it buy stamps and envelopes to spam me? Perhaps with a fresh web approach, they can send out email requests to their database and use more of the donations for the work that’s needed. I was supposed to be there today too but I got stuck in meetings at work! I was so bummed to miss it. My friend Leah works alongside Kevan in communications there. The new website is absolutely fantastic. I believe so wholeheartedly in the work that UGM does. What a small world indeed. 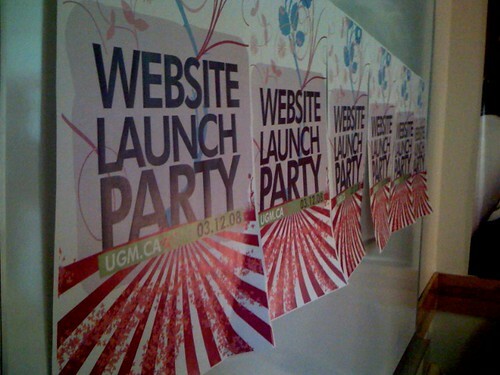 Just reading through your blog and came upon this post about the UGM big website launch party. We (Marqui) are the company behind the UGM website and their sleek-looking CMS 🙂 Good luck to Kevan and the team! Thats a real neat site!